We’re famous for our food, and pride ourselves on the quality we offer. We have a tremendous selection in our daily menu. 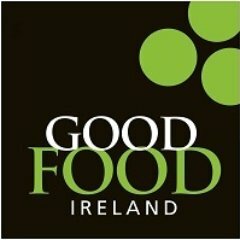 Our meat, fish and vegetables are sourced from only the finest Irish producers and we are proud members of Good Food Ireland. Our Head Chef and his kitchen team offer some of the best grub Dublin has to offer. In fact Lonely Planet rate us as one of the top 5 places to find ´Real Irish food in Dublin´. Food is available throughout the day, starting with our ‘Really Good’ Irish Breakfast Menu, from 8.00am until 11:30pm, after which a wide selection of traditional Irish dishes, an award winning carvery and sandwich bar are all on offer. And don’t worry, our ‘Really Good’ Full Irish Breakfast is available all day! At O’Neill’s we can cater for parties and tour groups of varying sizes. Our kitchen can create a custom-made menu for your group based on individual preference. We can also provide a selection of finger food to meet your requirements. Served with buttered green cabbage, honey glazed carrots, creamy mashed potatoes and seasoned roasted potatoes with chives and olive oil. Selection of seasonal vegetables change daily. Our Beef Burgers are made with Prime Irish Hereford Beef. All Burgers served with Hand Cut Chips and Side Salad. Served on Soda Bread with Side Salad. Selection of Desserts available including Homemade Irish Apple and Blackberry Pie, Rhubarb Crumble, Baileys Cheese Cake and Bread and Butter Pudding.